U2 7'' U2 Three E.P. 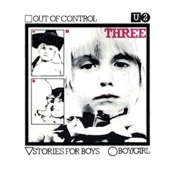 The colored U2 Three E.P. vinyls issued on 1979 had the red label with black letters.